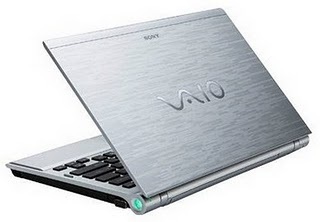 The new Sony VAIO Z Series holding Intel Core i5, i7 processors with 13.1? display is an ultraportable notebook for professionals. These new notebook have on-the-fly switchable graphics solution combining the NVIDIA GeForce GT 330M dedicated and Intel HD integrated GPU, up to up to 512GB of solid state drive storage capacity, up to 8GB of DDR3 memory, a DVD burner or Blu-Ray combo drive, and a battery life of up to 6.5 hours with the standard battery. The notebook starts at 3.07 pounds and has a case made of aluminum and carbon fiber. Its display has a resolution of 1600 x 900 pixels and uses LED backlight.